The president of Philadelphia’s police union on Wednesday decried the protests sweeping cities across the country after grand juries in Missouri and New York state cleared white officers who killed unarmed black suspects. 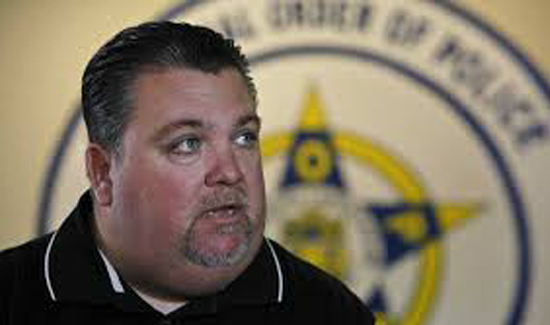 “We have to guard against a growing trend in this country to replace due process and the legal system with media-fueled mob rule and sensationalism,” said John McNesby, president of the Philadelphia FOP. Just a few days ago, he said, a 13-year-old was shot in Wissinoming. “No protesters at the location,” he said. The Grand Jury is supposed to be a secret deliberation to allow powerful but possibly guilty community citizens to be arrested and charged with crimes. The standard is much lower than that of a court trial to determine guilt or innocence. Neither the Grand Jury nor mob rule are due process. Protesters protest. They have a Constitutionally guaranteed right to do so. They do not burn and loot. They are also not convicted violent felons in possession of firearms. Protestors are not your enemy……….you do not have enemies…..just persons that may need to be brought before a judge if you have proof they have committed crimes.